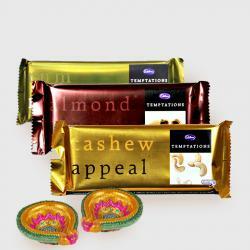 Product Consist : 2 Bars of Cadbury Temptation (Weight : 72 gms Each) with Assorted Fire crackers (Worth Rs.300/-) (Note: Types of Fire Cracker are depends upon their availability no specific choice). 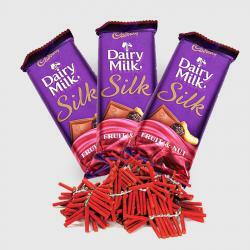 On the special occasion of diwali light up the lives with the positivity and fire the crackers taste the sweetness of Cadbury Temptation and make the environment full of excitement and happiness. 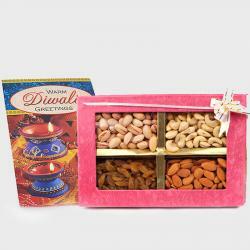 Gift this amazing combo of love celebration and light to your boss and dear ones. 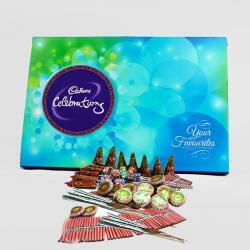 It has 2 bars of cadbury temptations with Assorted Fire crackers . The sweetness of the chocolate will blend its sweet crispy and crunchy texture into your relationship. This combo will make a strong bond between you and your family which will last forever. 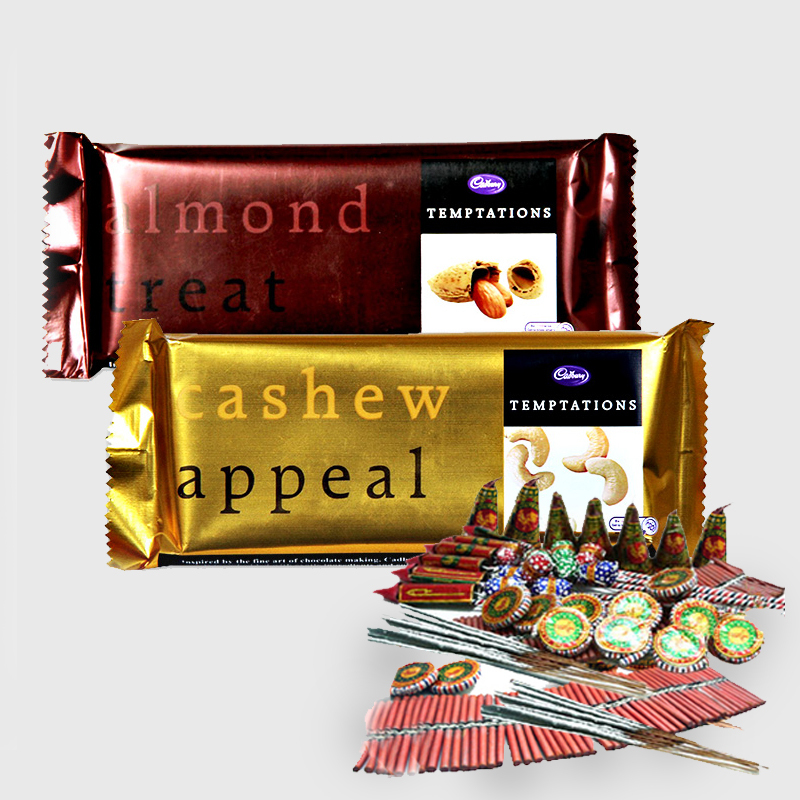 Product Includes : 2 Bars of Cadbury Temptation (Weight : 72 gms Each) with Assorted Fire crackers (Worth Rs.300/-) (Note: Types of Fire Cracker are depends upon their availability no specific choice).